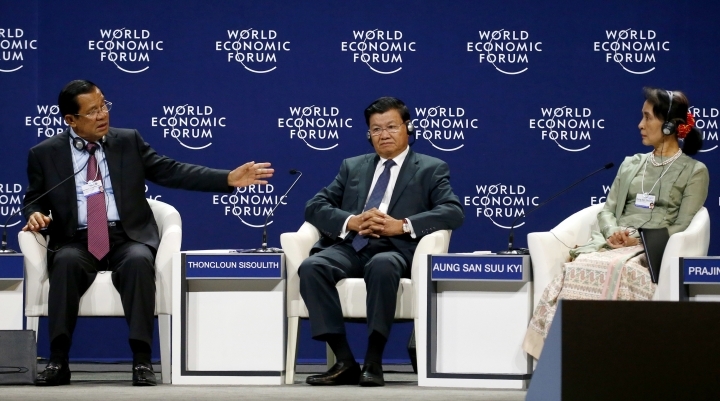 HANOI, Vietnam — Cambodian Prime Minister Hun Sen slammed criticism by outsiders of political issues in the Mekong region, saying Wednesday that the countries should be allowed to solve their own problems. 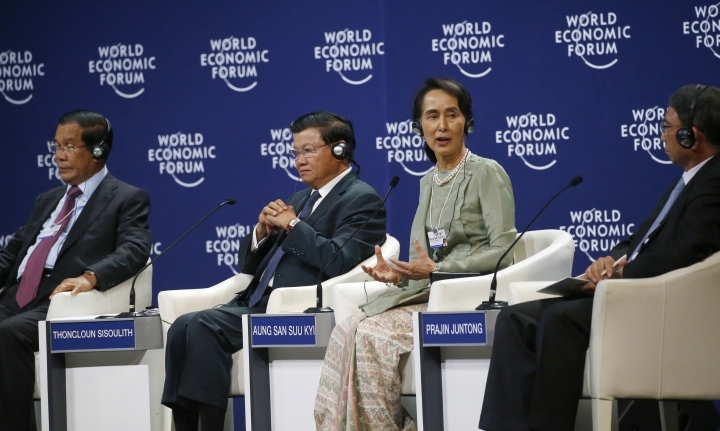 "The situation in Myanmar is more serious because it has been accused of genocide, but do those who might accuse them know about Myanmar and do they know how to solve the situation up there?" 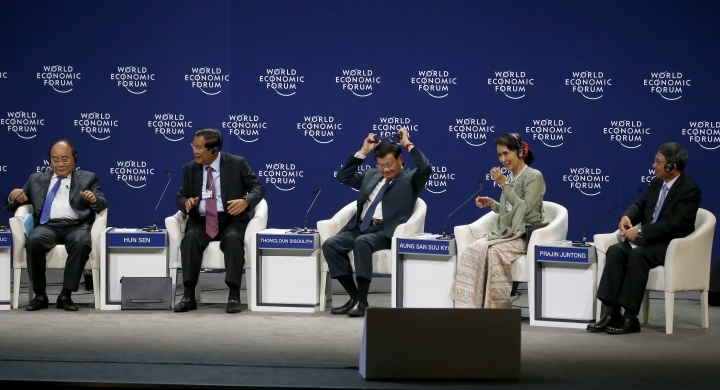 he said, as he sat on the stage with Myanmar's leader, Nobel Peace Prize laureate Aung San Suu Kyi, and leaders from Vietnam, Laos and Thailand. 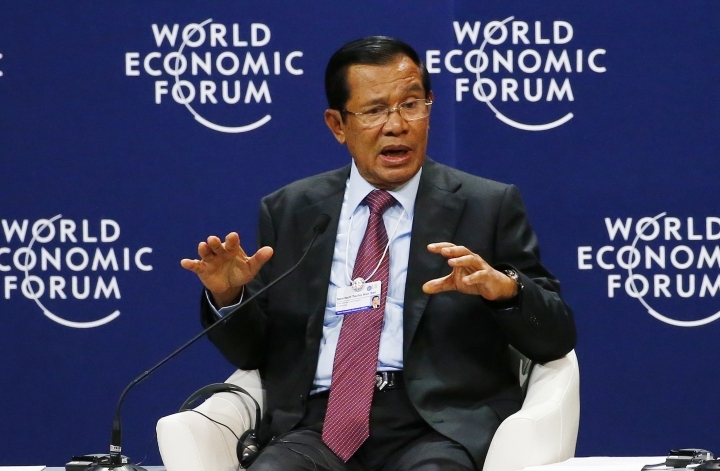 Cambodia's one-party legislature confirmed Hun Sen for another five-year term last week, cementing his status as one of the world's longest-serving leaders. The 66-year-old Hun Sen has been in power for 33 years and declared before the election that he intended to serve two more terms. 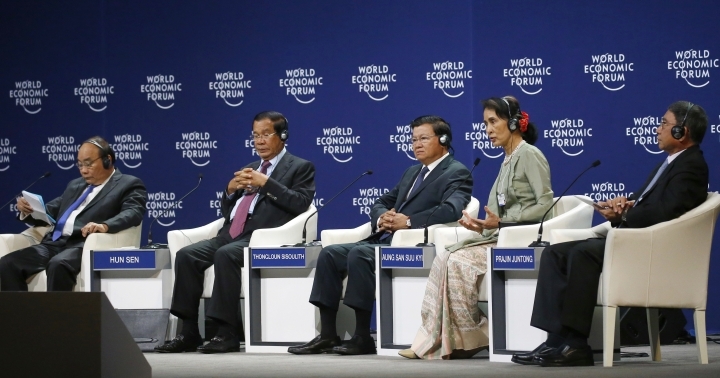 Speaking vehemently at the end of a day of seminars and speeches focused on economic and development issues, he said Vietnam and Laos, with their communist, one-party governments, and Thailand's military-led government should be allowed to be "peaceful politically." Governments in Europe and elsewhere should not try to impose conditions on them, he said. "The countries that do not know our countries, please leave us to solve our problems for ourselves," he said.